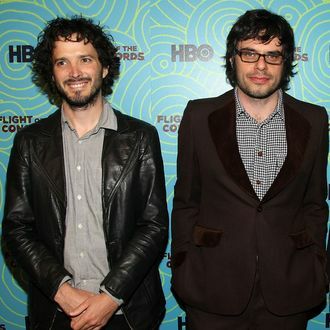 Flight of the Conchords will be soaring back into our lives this year with a reunion concert this summer. The pair will make you feel like the prettiest girl in the whole wide room when they headline the Newport Folk Festival on July 22. This is very fitting, since the Conchords have made a major contribution to alternative music (albeit through the lens of comedy). No word yet on whether this will lead to the larger reunion tour that the duo has promised, or what this means for that movie we’re supposed to be getting. We can’t wait to see their festival outfits. Maybe they’ll finally have ones like Daft Punk.